Egypt’s Official Liverpool Supporters Club has condemned the disgraceful comments that were directed at Sadio Mane following Saturday’s win over Tottenham. The Senegalese star was bizarrely criticised for supposedly overlooking the chance to pass to Mohamed Salah in a number of goal-scoring opportunities. This followed a wasteful day in front of goal for Liverpool all round, with Salah himself also guilty on numerous occasions of seeking glory when a pass to a teammate would have sufficed. Misguided accusations that Mane had a problem with Salah began to flood social media, including some unnecessarily hurtful remarks. “We asked Liverpool fans in Egypt through our official association group “What is your message for Mane?” We produced a sample of amazing and honest responses and messages from Liverpool fans. Unfortunately we could not publish all messages as there were over hundreds. 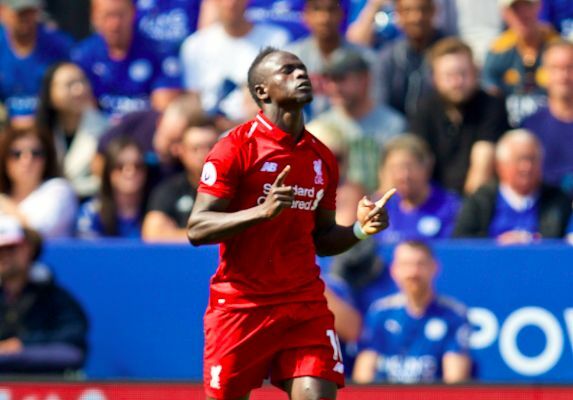 Mane has been one of Liverpool’s standout performers over the opening weeks of the new season and is currently the club’s top scorer with four league goals. It’s been made no secret across the Reds’ winning run that their formidable front three are yet to return to their explosive best. An ever-present threat on the counterattack has often been let down by an unusual lack of conviction in the final third and some poor decision making. Nonetheless, for so-called fans to slam Mane amid an unbeaten start to the campaign is mind-boggling. Granted, supporters have every right to hold high expectations but there is no room for abuse.